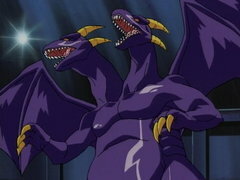 Joey duels valiantly, but Rex Raptor has unleashed his secret weapon: Red-Eyes B. Dragon! 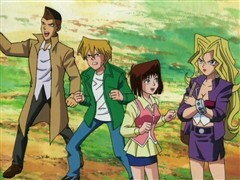 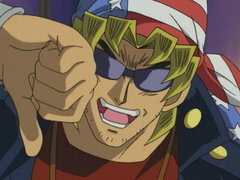 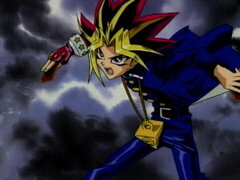 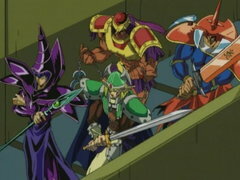 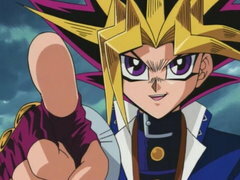 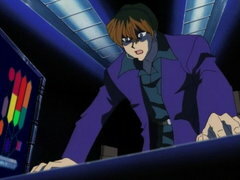 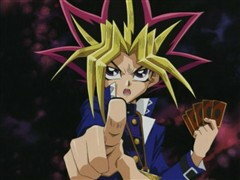 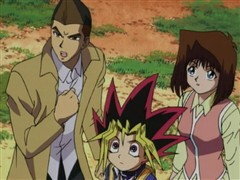 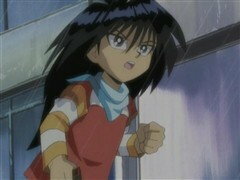 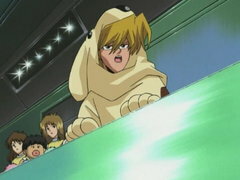 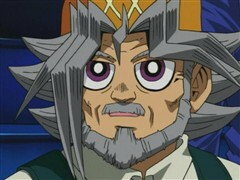 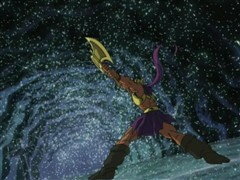 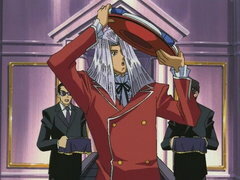 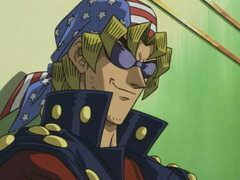 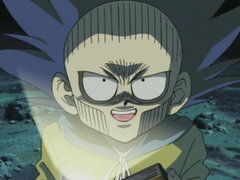 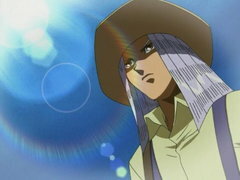 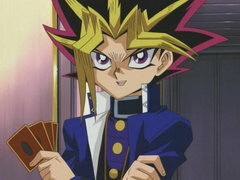 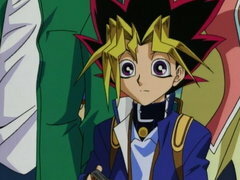 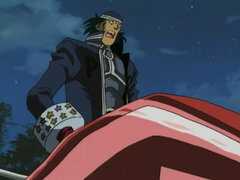 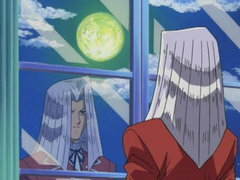 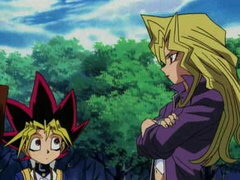 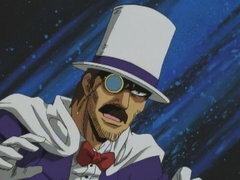 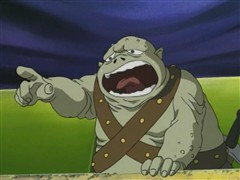 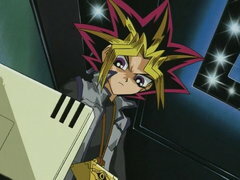 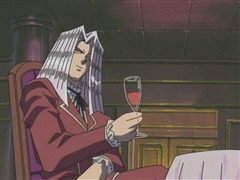 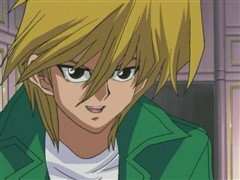 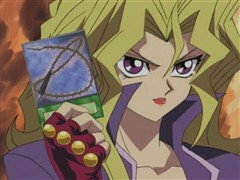 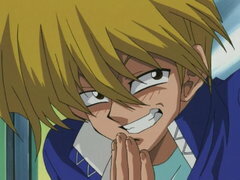 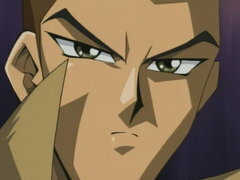 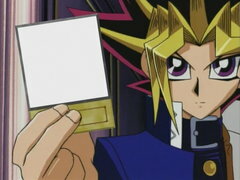 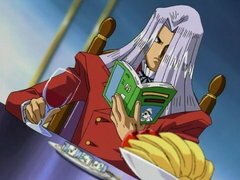 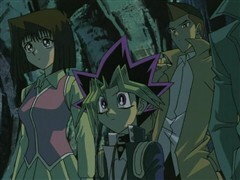 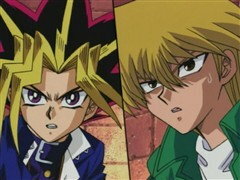 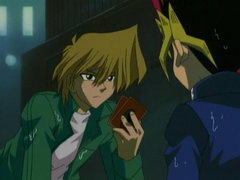 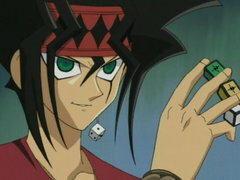 Joey must figure out the secret of Yugi’s gift, the Time Wizard card, without Yugi’s help or he’s taking the next boat out of Duelist Kingdom! 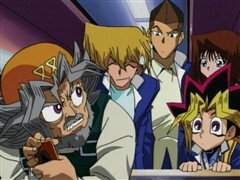 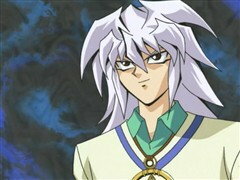 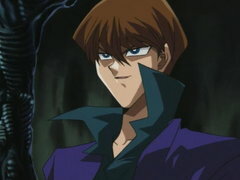 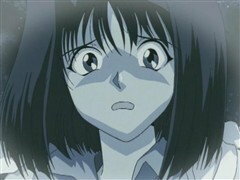 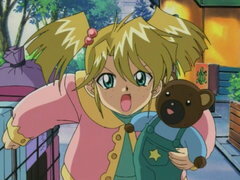 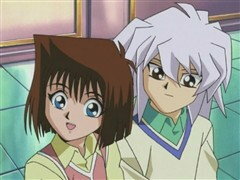 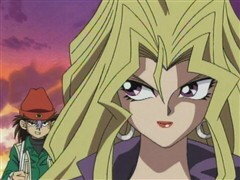 Yugi’s classmate Bakura, possessed by his Millennium Ring’s dark powers, traps Yugi and friends in a Shadow Game where they become the cards themselves! 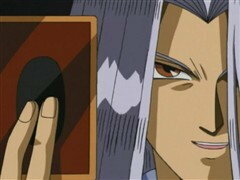 Not only must Yugi battle to avoid becoming a permanent part of the card game, but also free Bakura’s soul from the Millennium Ring’s control!